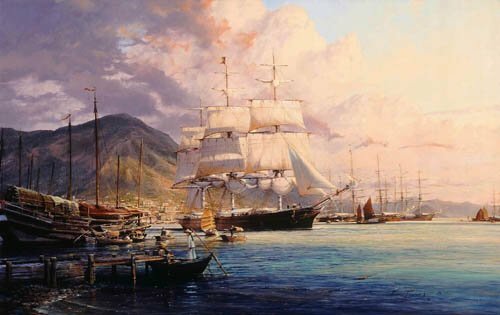 The American Clipper Flying Cloud arrives at Hong Kong in May 1860, 97 days out of London. En-route to Foochow, she will load tea for the return voyage. Of all the famous American Clippers Flying Cloud had by far the best record.